We are quite good at doing things on a ‘shoestring’ as we’ve come a long way in the last three years on very little: we now make eight goat cheeses, four cow cheeses and two sheep cheeses and have won awards at the Yorkshire Show in 2008, 2009, 2010 and 2011 and at the Great Taste Awards in 2009 and 2011. We didn’t submit in 2010. We have a great team, of whom I am very proud: Lydia, Stu, Mark and I. We bought a little cheese smoking unit so that we can smoke our own cheese and we have opened a little shop, our Little Cheese Shop in Hawes too and even more important, we have become profitable again. When I first took over the business from my uncle in April 2007, it was not in good shape, nor were we cheese makers. Eighteen months into running the business, I foresaw the recession, as did many people, and I felt I had to take the decision: we either have to become cheese makers again to regain our authenticity, credibility and improve our terrible margins or we need to have our own goats so that we can control the supply chain better. significant gap may be easier. Well, it wasn’t easy, it was a tremendous learning curve and we made many mistakes along the way, but I think it was the best decision we have ever made. The task was to install a dairy on a shoestring. Our Business Link advisor did not think we could do it on the budget we had, but somehow, with a lot of luck, and a good deal of help from cheesey friends in Lancashire, (they know who they are,) a local engineer, the ever long suffering Brytec who I am sure thought we were clueless – I was at the time – we installed a dairy in six weeks and by the middle of November 2008 we were making our first cheeses. 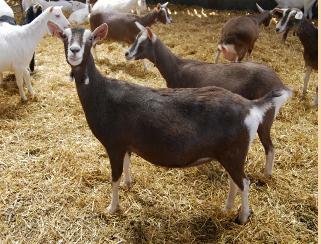 Two months after that, we got a listing in Booths with our Original Goat, which was just fantastic. 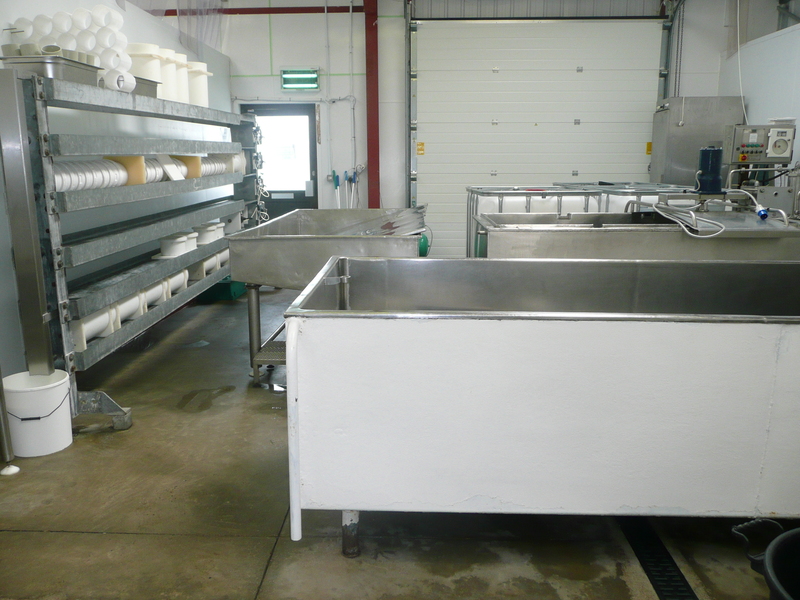 Initially, we had very little equipment – a large vat, wash tank and a make shift press; we milled by hand, using knives to cut the curd very finely. Gradually, with Brytec’s help, we added another, smaller vat, a pasteuriser, a larger press, a whey tank, a peg mill (thank you Philip Battersbee!) and a curd table. And that is all we have. 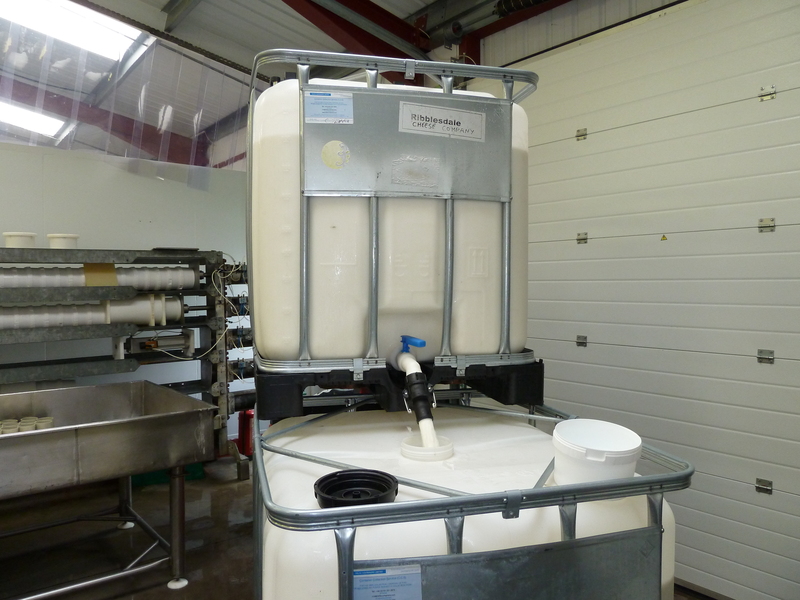 store our milk in IBCs – 1,000 litre containers. In the early days, we only received 1,000 litres at a time and it was pasteurised for us, but after the sad departure of our first goat milk man, John Parker, we had to buy a pasteuriser to process raw milk. 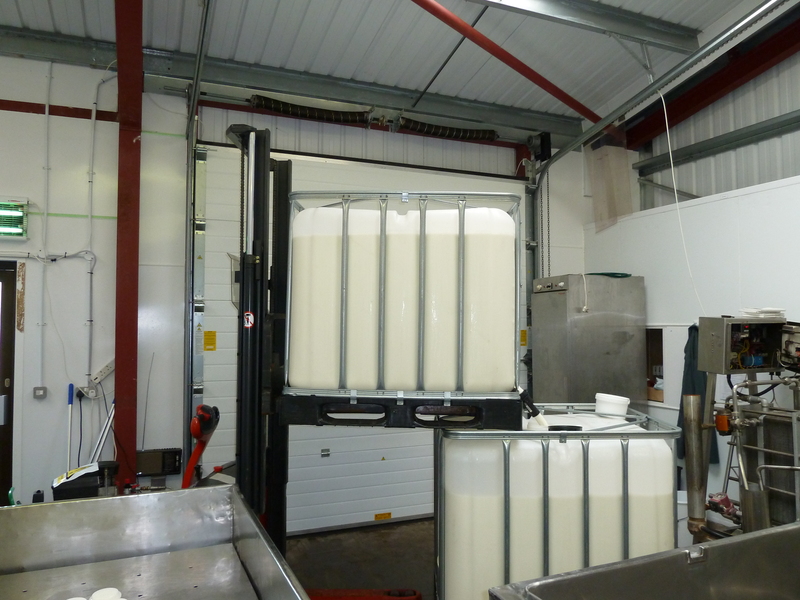 These days we process up to 2,300 litres at a time which is our maximum vat capacity. To do this, we connect one IBC to the pasteuriser with a specially adapted dairy hose pipe and we position the next IBC over the first and gradually top the first one up so that we do not have to interrupt the pasteuriser and can do it in one go. Very simple and cheap. The IBCs are food grade and are kept scrupulously clean and sanitised as is the dairy hose connector. We have a sample from each and every batch of cheese that we make tested, and to date, touch wood, we do not get positive results – this would show us that something isn’t working, but so far, so good. The IBCs cost us £75 each. Now that is shoe string! What a pity there is not an award for hard work, gritted determination and belief in your product. You and your dedicated team have done a fantastic job in just three years. Here’s to more success and recognition for you all!